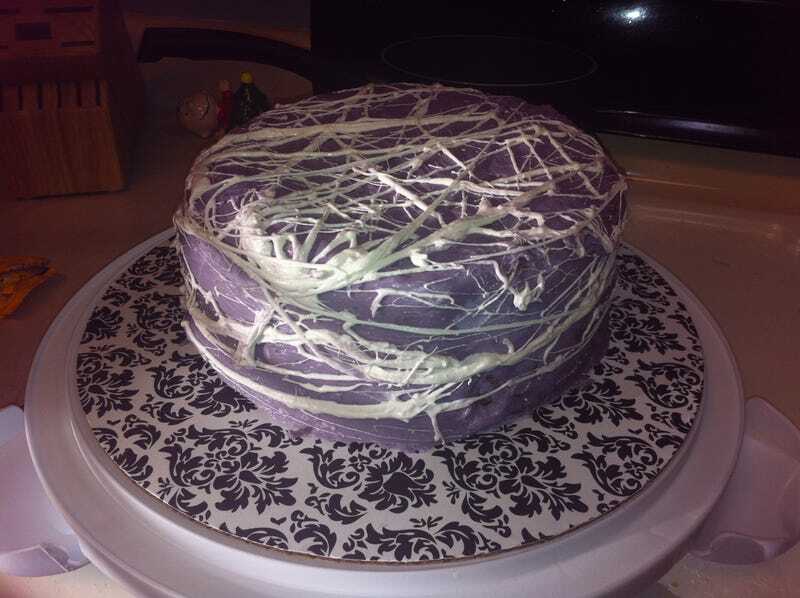 I used a boxed cake mix, but it has homemade Swiss buttercream frosting. The topping is melted marshmellows strung apart to look like cobwebs. Mr. BE had an office party yesterday. I wanted the icing to be bright red, but only grabbed one of the two gels I needed at the store for that. It is delicious, but I have trouble eating delicious things I make (frostings and pie crusts). Once you physically add the amount of butter that goes into making these things delicious yourself, it's a tad sickening to think about. ETA: Sorry the lighting is terrible.